The attraction may be stopped without prior notice due to reasons such as maintenance. You do not need a ticket to look at the window display. 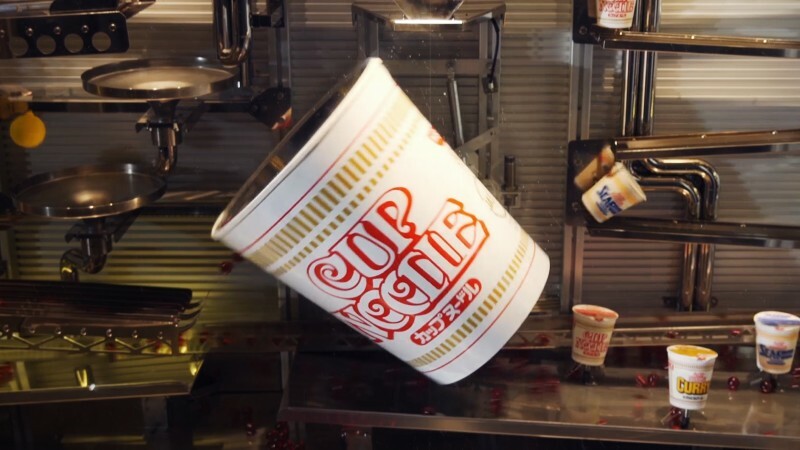 The big CUPNOODLES in the middle of the lane falls every three minutes, allowing a large number of marbles to flow out at once. 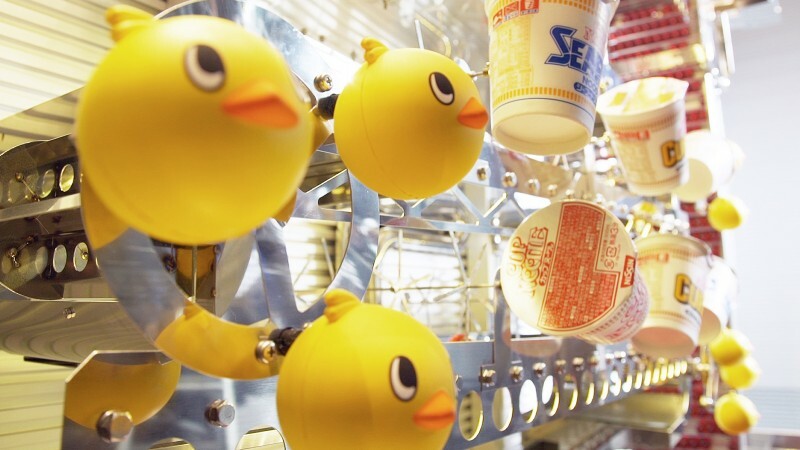 Hiyokochan (small chicken mascot) and CUPNOODLES in the lane entertain viewers with a variety of movements. 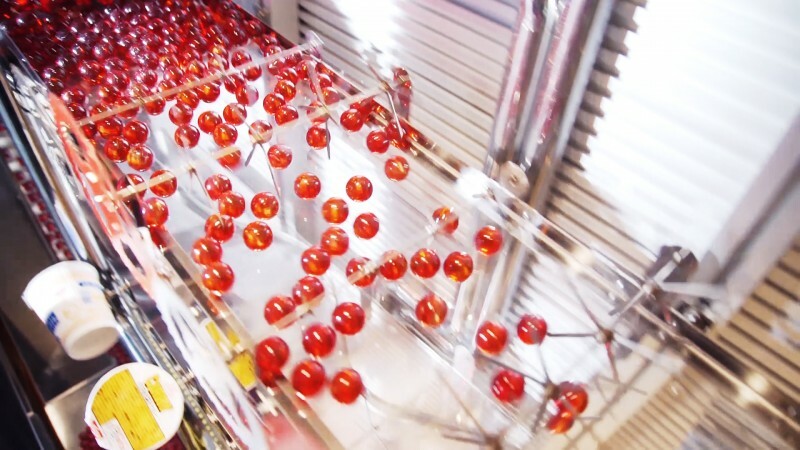 There are 4,000 shining red marbles. As the sun goes down and the lights turn on, the marbles appear even brighter.